At the moment, autonomous vehicles are still in the relatively experimental stage. However, one thing is for certain – autonomous cars and autonomous trucks are the future of transportation. Now, the answer to the question of when they will become a common sight on our streets is still a few years away. 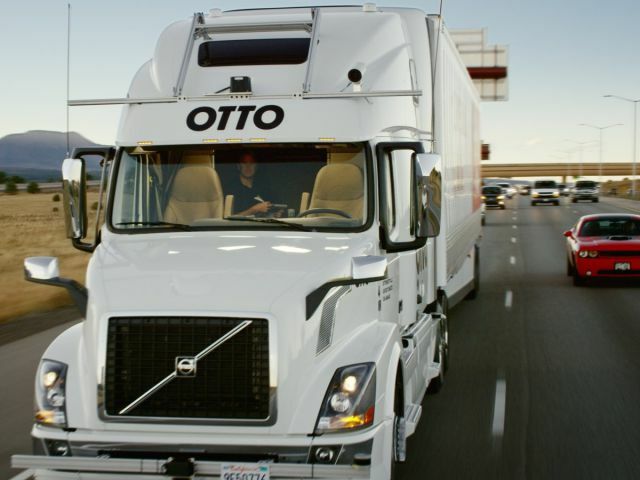 Right now, there are a number of companies that are testing autonomous trucks. Even though there is still a bevy of problems to be resolved, the proponents of this idea strongly believe that these trucks will be much safer and much less costly to operate. It is well known that truck drivers can spend dozens of hours at the wheel. In addition to simply operating their trucks, they also have to schedule the pickups and dropoffs, manage their overnight stops and reservations, and so on. This can be overwhelming even for the most experienced truckers, let alone rookie ones. With the help of advanced autonomous systems, the rate of accidents can be reduced by actually allowing the truckers to be distracted by other activities. Of course, this is all done in a perfectly safe manner, given how the system can be used to handle all the operations. On one hand, its radar and cameras can control and monitor the situation on the road. Also, it will react to all other vehicles and make sure the truck stays on the road. On the other hand, the system can be also used by the driver to handle the communication and the logistics. With the help of a system, the driver does not have to split their attention between these crucial activities. Instead, they can fully focus on one, while the system manages all the others. Whereas many truckers are usually impatient with traffic and tend to burn through their fuel, autonomous systems operate on a different level. They don’t get impatient and are perfectly capable of maintaining a safe distance between the truck and a vehicle ahead. Also, the autonomous system can improve fuel efficiency by almost 6%. It is also worth mentioning that the system can take into account the terrain data and use GPS information too. This will allow for a much better use of the trucks’ transmission and engines for improved efficiency. Right now, the trucking industry is still waiting for the right signals from the state and federal regulatory bodies. The trucking companies currently require guidance in regards to the adoption of these advanced technologies. Since this tech is still in its infancy, there is actually a need for a variety of technologies to blossom in the near future. This will allow the trucking industry to find those that perfectly fit into the niche. The autonomous trucking systems are still causing some growing pains for those involved in their development. There is still a long road to be covered from its promises to the actual results it can deliver. Fortunately, the future of autonomous trucks looks bright. With the appropriate investments and without any regulatory hurdles, we are bound to see many more of these within a few years.